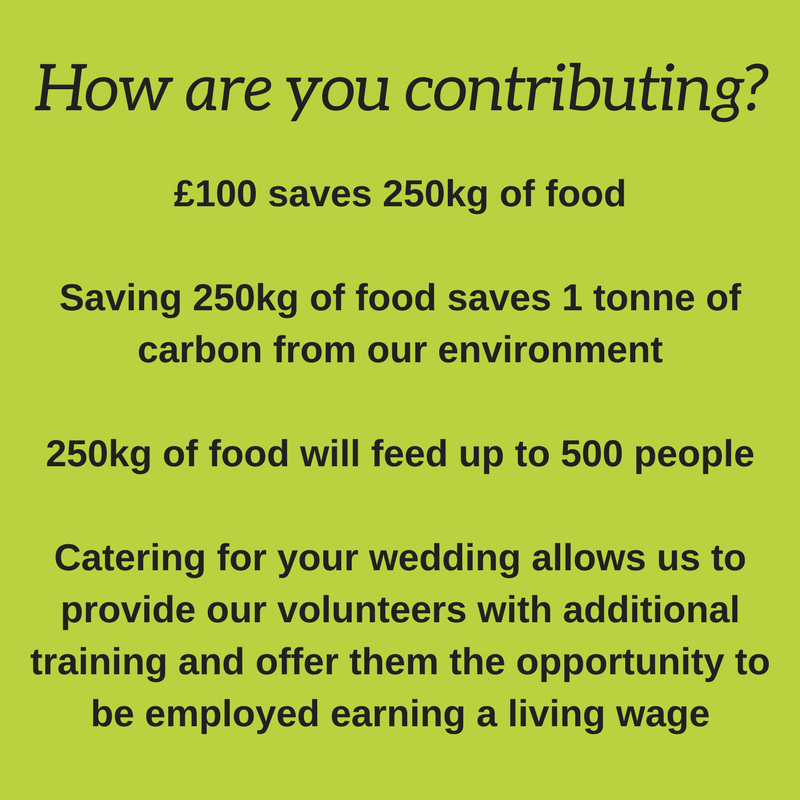 Food Works Sheffield (Formerly The Real Junk Food Project Sheffield) provides an ethical and high-quality Wedding Catering Service that can be tailored to your requirements. Our talented team take pride in offering a flexible and creative service, working with you on your themes and ideas to design a stand-out menu for your special day. Share the love on your big day! Not only will the food quality and service be exceptional, using Food Works offers you the chance to share the love and give something back to your local community and the environment on your big day! We cater for anything from a casual hot or cold buffet, to a more formal sit-down experience and can accommodate both large and small guest numbers. Due to the variety of our ingredients, we can easily provide vegan, vegetarian and gluten-free dishes. We work with all kinds of venues across the city and would be happy to make suggestions (should you need them!). We would love to be part of your special day. For a chat about your requirements, please fill in the contact form or email: catering@realjunkfoodsheffield.com.